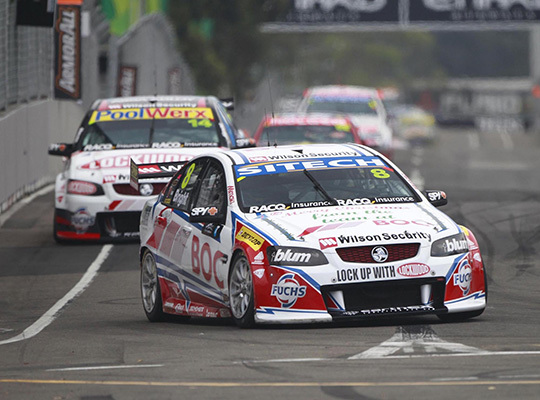 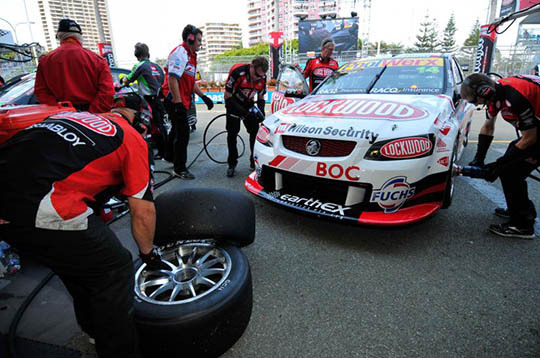 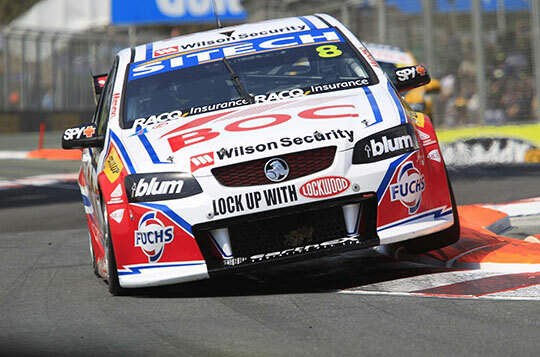 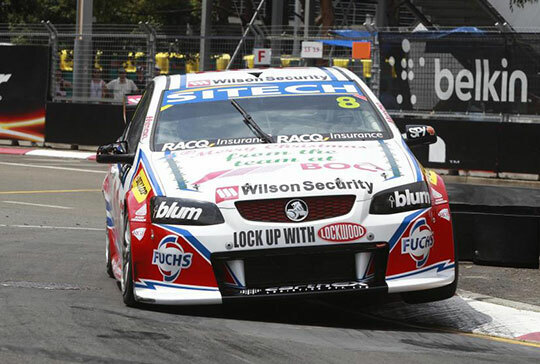 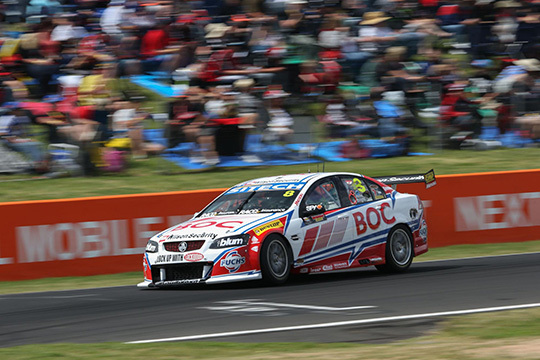 Pitting early in today’s 74-lap race at Sydney Olympic Park Street Circuit meant Team BOC’s Jason Bright made it home on fumes for a top ten finish. 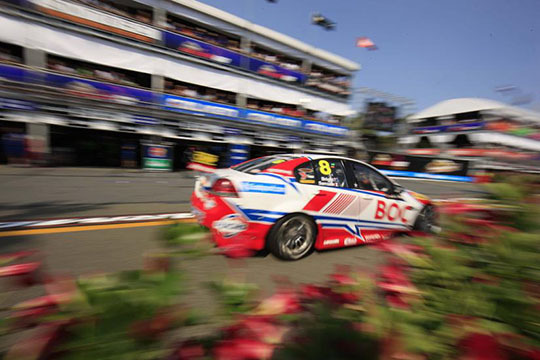 60+ degree cabin temperatures saw some crazy driving at the Sydney Telstra 500 today and Jason Bright says he was one of those making mistakes. 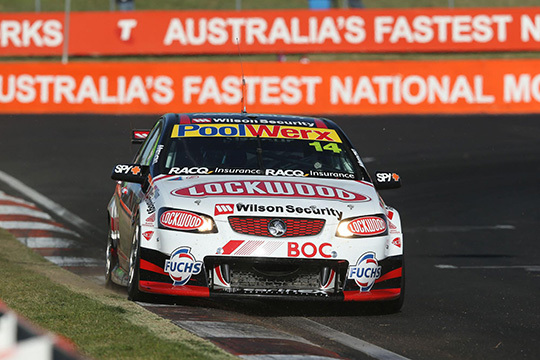 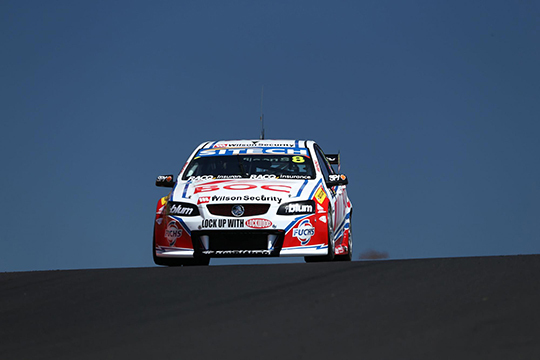 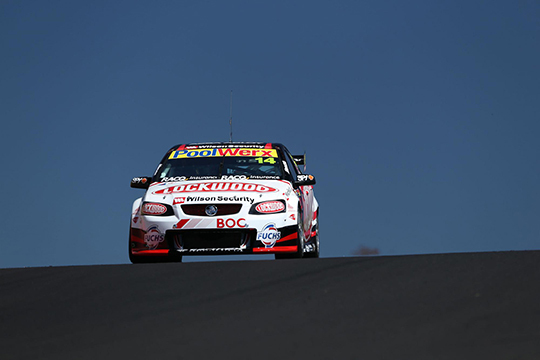 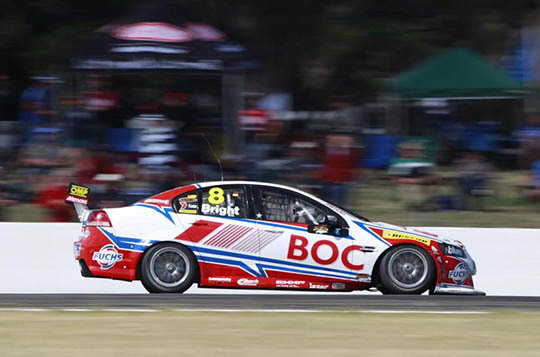 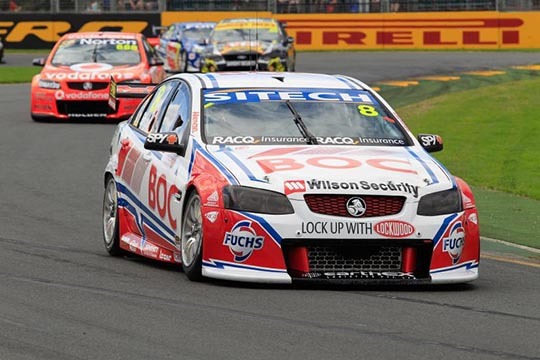 Qualifying first behind TeamVodafone and FPR on both days at Winton this weekend was a highlight for Team BOCs Jason Bright, who finished sixth today. 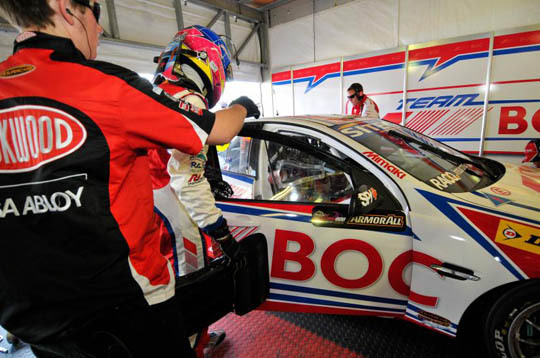 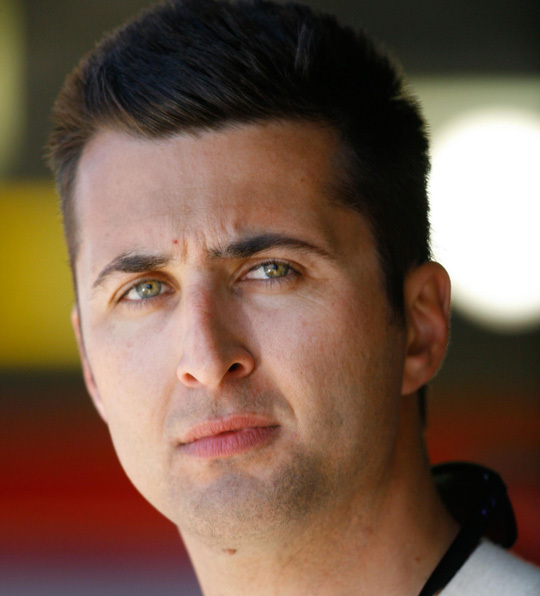 Disregarding the stewards requirement to leave racing room is going to get James Moffat into trouble according to Team BOCs Jason Bright.